On January 24th, 2019, and as part of the graduate research training group on “Documentary Practices: Excess and Privation” at the Ruhr University of Bochum, the workshop “(Self-)Documentation, (Self-)Performance and (Self-)Constitution of Gendered Cultural Identities in Comics and Literature” will take place. 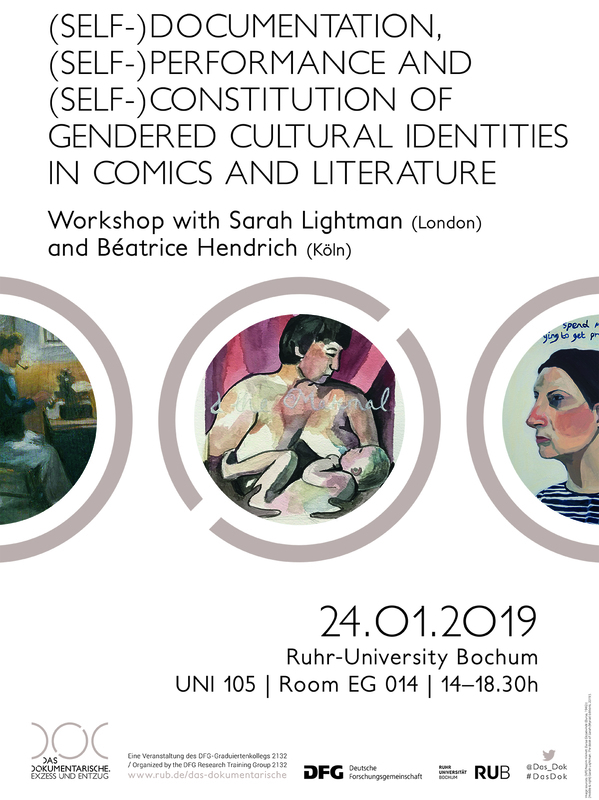 The event – organized by Esra Canpalat and ComFor-Vice President Véronique Sina – will include a drawing workshop as well as impulses and discussions with comics artist Sarah Lightman and Béatrice Hendrich, Junior Professor at the Department of Oriental Studies at the University of Cologne. Registration: Please register via das-dokumentarische@rub.de until December 21st. 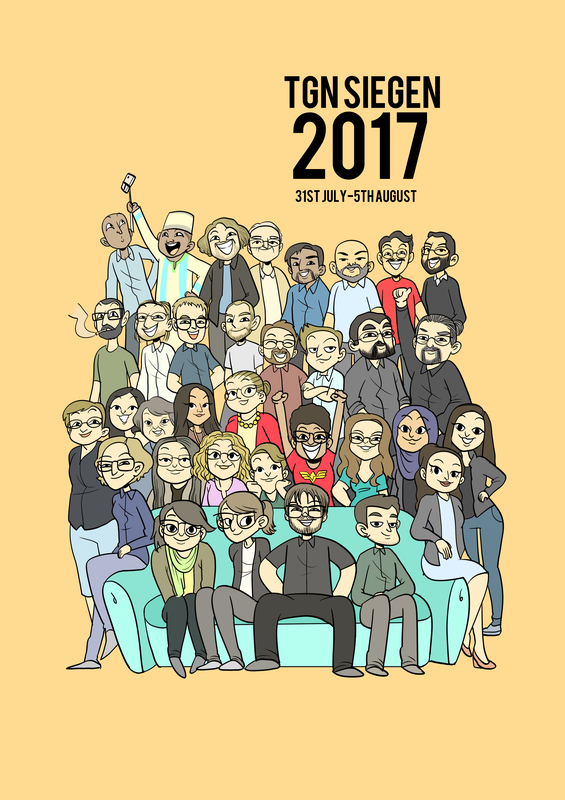 The first annual conference of the Comics Studies Society (CSS) will take place from 9 to 11 August 2018 under the motto “MIND THE GAPS! The Futures of the Field”. 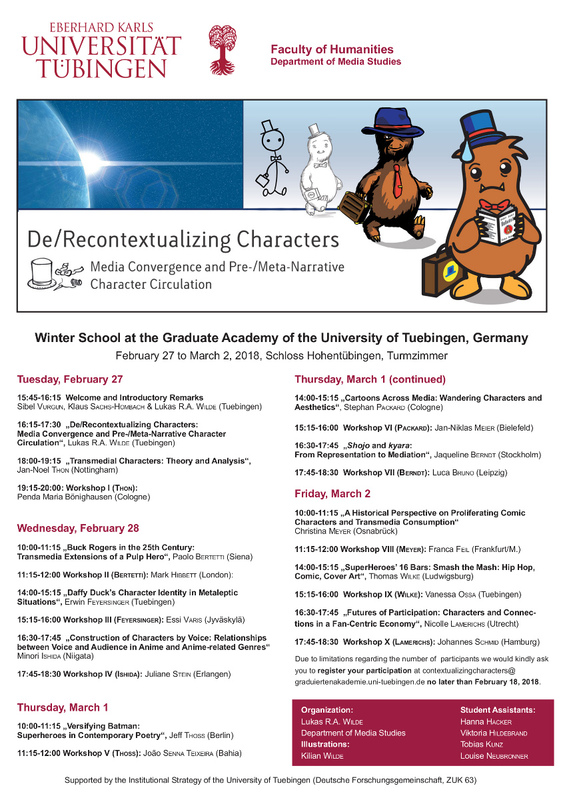 There will be a panel of the Comic Studies Working Group (AG Comicforschung) of the German Society for Media Studies (GfM) with German comic scholars. The panel, organized by ComFor-member Björn Hochschild, brings together three contributions on “Disregarded Gaps, Blanks, and Discontinuities in the Comics Reading Experience”. “Phenomenological conceptions of perception have developed into their own theoretical field when researching the aesthetic experience of films. Comic studies, however, have thus far shown little interest in phenomenology. Focusing on movement, my talk demonstrates how phenomenology can offer fruitful perspectives for studying the reading experience of comics. On June 18–19, 2018, the Early-Career Research Group ‘Hybrid Narrativity’ will host a “Workshop on Comics Annotation: Designing Common Frameworks for Empirical Research”. • What standards do we need to define to ensure interoperability between different researchers and approaches? • How can annotation schemes be developed and adapted for the visual aspects of artefacts such as comics? • How can integration be achieved between text-oriented standards, such as TEI and CBML, and further non-text-oriented schemes? • Where, and to what extent, do we need to move beyond, or in parallel to, XML to support empirical studies more broadly, taking in data on eyetracking, EEG, reading order, physiological responses, etc.? 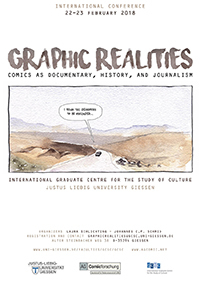 The Comic Studies Board (AG Comicforschung) of the German Society of Media Studies (GfM) warmly invites to its international conference “Graphic Realities: Comics as Documentary, History, and Journalism”. 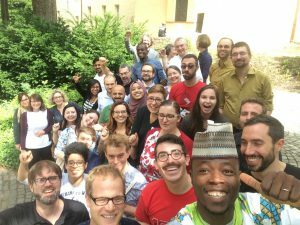 Organized by Laura Schlichting (Gießen) and Johannes C.P. 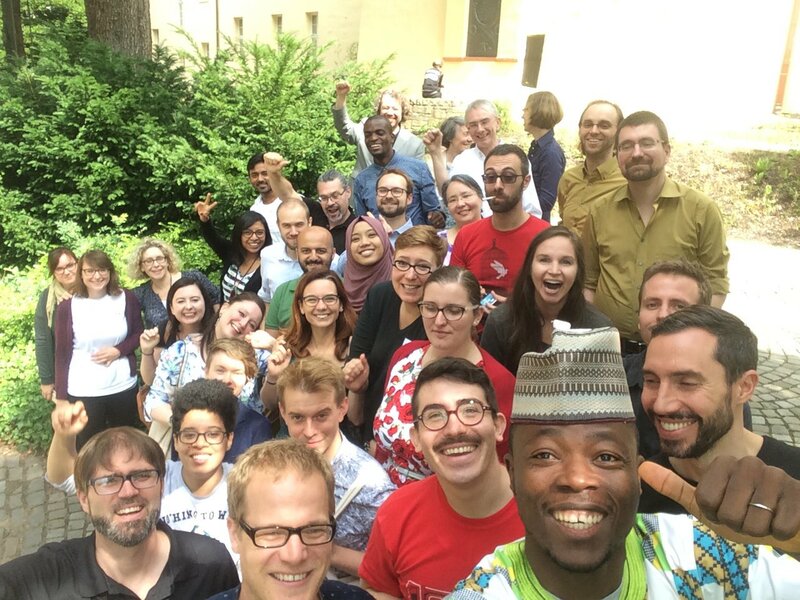 Schmid (Hamburg), in cooperation with the International Graduate Centre for the Study of Culture (GCSC) at the Justus-Liebig-University of Gießen, the conference encompasses 4 sections with 12 international presenters, including Prof. Dr. Jörn Ahrens (Justus-Liebig-Universität Gießen), Dr. Nina Mickwitz (University of the Arts London), Prof. Dr. Dirk Vanderbeke (Friedrich-Schiller-Universität Jena), and Prof. Dr. Wibke Weber (Züricher Hochschule für Angewandte Wissenschaften, Winterthur). 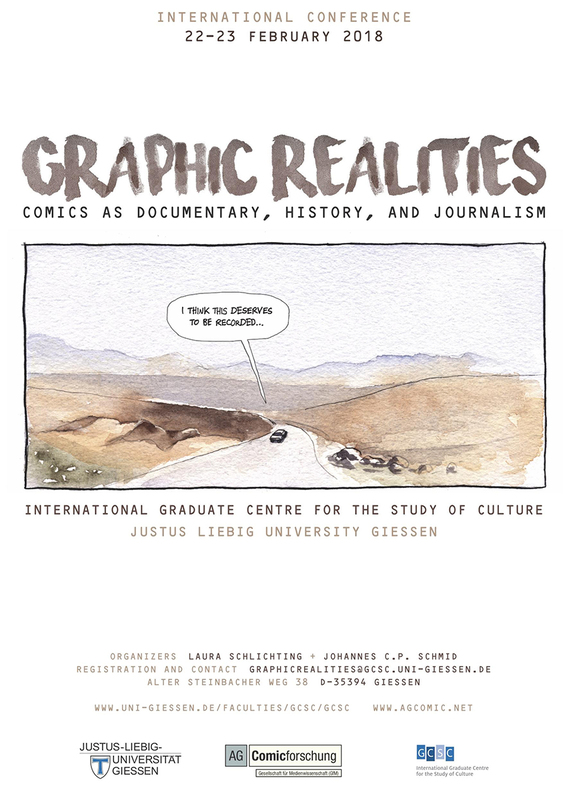 Admission is free, but attendants are kindly asked to register until February 10th 2018 at graphicrealities@gcsc.uni-giessen.de. “While comics have traditionally been associated with fictional, especially funny and/or fantastic stories, they have in recent decades become a major vehicle for nonfiction, as well. This development coincides with a time that has been described as ‘post-truth’, in which established news media face a crisis of confidence. The turn towards comics is a turn towards a medium, which inherently promotes simplification and exaggeration. Cartoon imagery thus immediately exhibits the subjectivity of the artist and her or his interpretation – but what could be considered a hindrance towards factual reporting has become an important resource. 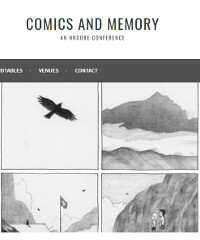 The overt display of subjectivity and medial limitations as a show of honesty has been described as an authentication strategy of graphic nonfiction. In contrast to formats based on camera-recorded images like photography and film nonfiction comics cannot lay claim to indexing premedial reality. Rather, individual graphic styles index their own creator who as witness becomes the main authenticator. Thus, comics shift the weight of authentication from medial prerequisites towards their authors and artists and thus the textual properties referencing them. One of the questions that will be discussed at the conference is thus the relation of inherent medial properties of comics as vehicle for nonfiction. Stories of Illness/ Disability in Literature and Comics. 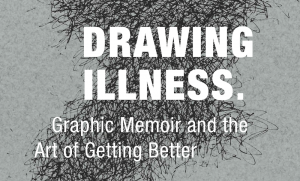 “This conference examines the ways in which knowledge and experience of illness and disability circulate within the realms of medicine, art, the personal and the cultural. Speakers address this question from a variety of different perspectives, including literary scholarship, comics studies, media studies, disability studies, the health humanities and sociology. The AG Comicforschung hosts an English-language panel entitled “Cartoon Bodies and Graphic Sensuality” on Saturday, 1 July 2017 as part of the annual conference of the European Network for Cinema and Media Studies (NECS). Panel chair is Erwin Feyersinger (Tübingen).